Discover our beautiful gardens no matter the season. 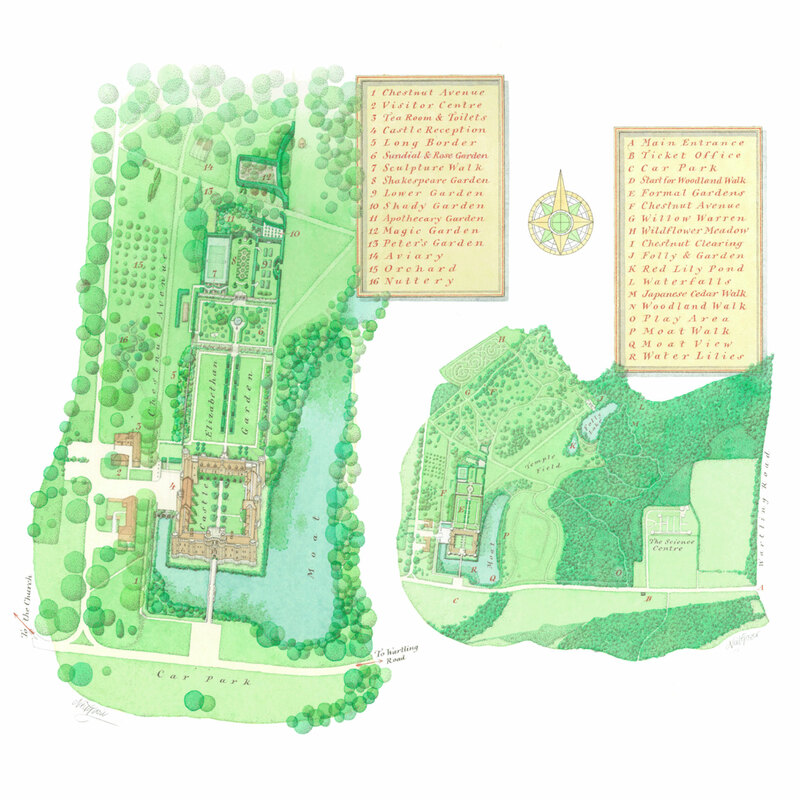 From formal gardens to the rear of Herstmonceux Castle, to wild meadows and carefully managed woodland that changes throughout the seasons. A row of magnificent Chestnut Trees over 300 years old and new trees planted for future generations. Learn about the various eras of the estate and the castle. Refreshments available from hot drinks, snacks, sandwiches and afternoon teas. Please visit castle reception if you would like to enquire about castle tours or ask any questions. Being over 80 metres in length, it is understandable this border is called the Long Border. Set within the original walled garden of the castle, the imposing central sundial is a striking feature. Enjoy a small selection of Zimbabwean sculptures. All the planting in this garden is butterfly friendly. A collection of herbs for medicinal and culinary use. Although now faint, a close look at the central stone in this small garden shows the name “Peter” to be inscribed on it. Home to our resident peacocks, however they are often found nearer food sources such as the tea rooms. Planted just after the millennium by members of staff. A fun place for children to enjoy running through the small paths. Entrance to the Gardens & Grounds of Herstmonceux Castle. Please present or pay for your tickets upon arrival. A clearing surrounded by chestnut trees. One was struck by lightning. A scenic pond situated next to the folly. Ancient Bluebell woodland set within a Historic Parkland. A little way from the castle but families can park close by if their children would like turn burn off some more energy. A beautiful trail beside the moat. The iconic view of the castle over from the moat. Book yourself an experience while visiting Herstmonceux Castle or come along to one of our many indoor or outdoor events held throughout the year.